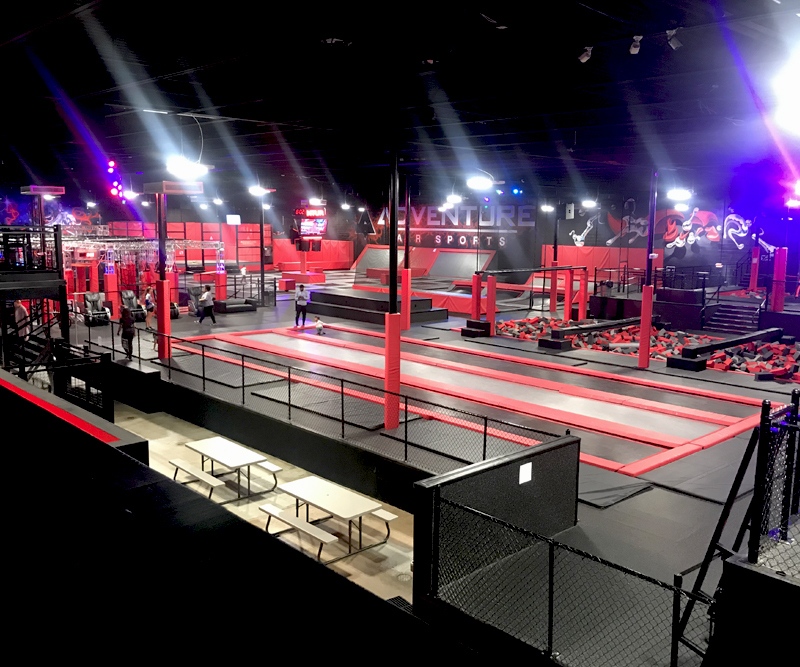 Looking for a new and exciting place to hold an event? 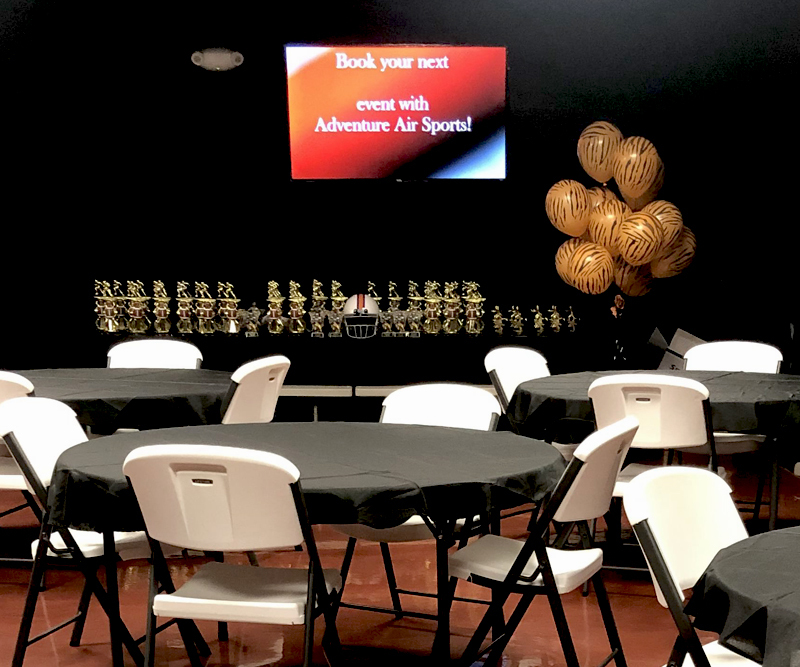 Adventure Air Sports has you covered with our brand-new, versatile space. 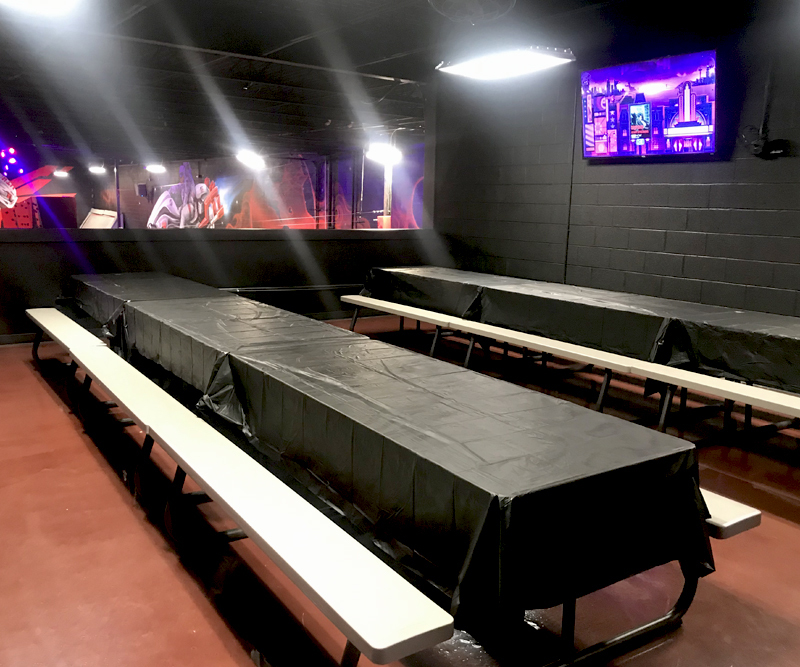 This space is perfect for banquets, corporate events, family reunions, and so much more. The possibilities are endless! This space has its own A/V connections and podium. We even have catering options to make renting a space even easier. 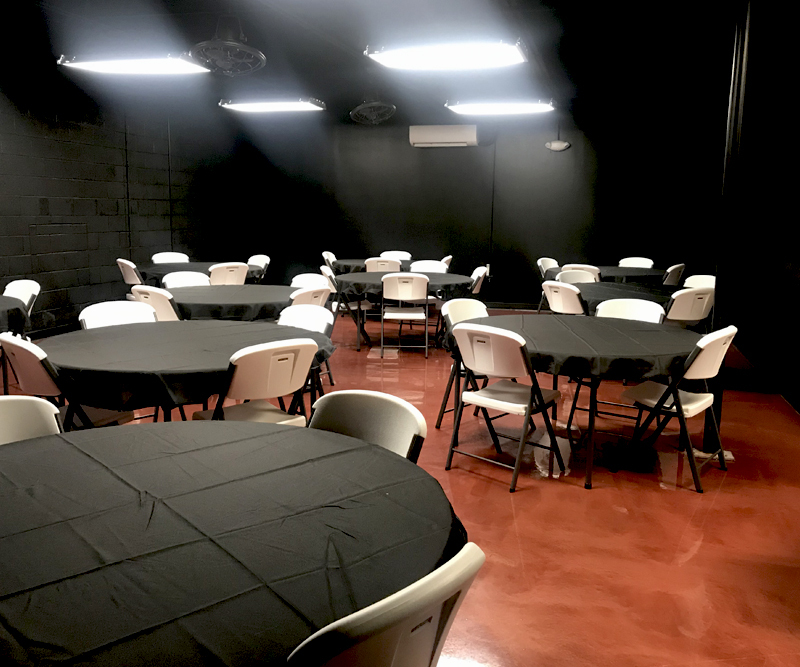 Our event space can hold between 60-70 people comfortably. This beautifully done space is the perfect venue for your next event. For more information please call us! We look forward to helping you plan the perfect event! Come check out the coolest view in the house in our new birthday party private spaces. These rooms are the perfect way to celebrate in style. Each room is available to rent for birthday groups that want a little more privacy. This aerial view makes each guest feel like they are on top of the world. These rooms can accommodate parties from 10 all the way to 30 people comfortably. Each room is A/V accessible to play a special video or to DJ your private space! Feel free to come take a tour of our private spaces today! For more information please give us a call! We can’t wait to celebrate with you.